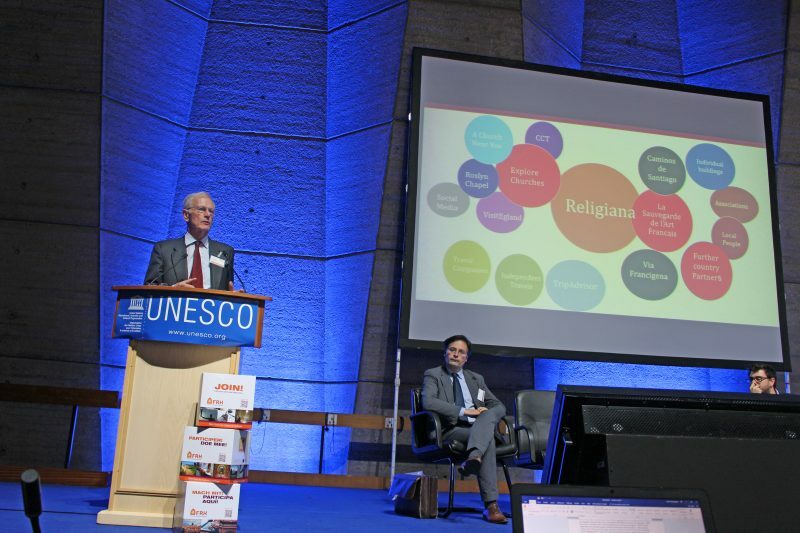 FRH’s tool to increase the visibility and accessibility of European religious heritage has been launched – website https://www.religiana.com/ is now available! The potential for religious heritage buildings to attract visitors and for visits to be enjoyable and worthwhile is huge. Religious buildings provide a window into the past, giving visitors the chance to learn more about their ancestors and the world they lived in, as well as showcasing the work of some of histories most talented craftsman. The buildings, their decorations, and the craftsmen and artists they have inspired are an essential part of Europe’s cultural heritage. Religiana is a comprehensive resource to promote and protect this heritage. Featuring information on buildings from across Europe, Religiana serves two purposes: it promotes these buildings as beautiful and unique places to visit and facilitates visits by sharing practical information with users; whilst also helping preserve European heritage through highlighting restoration and financial needs. Religiana is FRH’s tool to increase the visibility and accessibility of European religious heritage. Designed with the user experience in mind, the new layout makes finding information much simpler, and key features such as events, curated lists and contact details are all highlighted more prominently. When users are searching the map for a place to visit, the most important information on a building is now provided at a glance, with more detailed information on the history of the building and images, contact details and local events displayed on each profile page. Interesting features of the buildings are highlighted, which allows users to search by specific interests, such as periods of history, or architecture. Religiana is currently available to view in four languages: English, French, Dutch and Spanish, and will be looking to add more languages to this list. We believe that increasing the accessibility of religious heritage sites, by providing multi-lingual information, is a key selling point for Religiana, that sets it apart from many other tourism websites and will help grow the popularity of the site and promote buildings to a much wider audience. Our goal is to have the information on each building available in its local language and English. Religiana currently holds information on nearly 1000 buildings in France, Belgium, the Netherlands and the United Kingdom, and we are hoping that with the help of our members and other organisations, that number will keep growing. Adding buildings to the site is free, and we would like for our members to contribute their knowledge and portfolios, by adding buildings local to them, so that visitors from Europe and beyond are able to appreciate the wealth of European religious heritage. To inspire this, the process to add a building to the website has been revamped, and is now a simple matter of filling in a form on the website. Our goal is to reach 10000 buildings online, and, as mentioned previously, with the information on each available in the local language and English. As well as large organisations, we are also encouraging individuals to add their own information to the site, so that the local stories that add life to buildings are available for all visitors to enjoy! Now that the site has been launched, you can begin exploring Europe’s religious heritage at www.religiana.com. We will be launching a newsletter to keep our followers informed of the latest developments, and of course, Religiana is on social media! You can follow us on Twitter, Facebook and Instagram, and if you want to know more you can contact the office on hello@religiana.com.